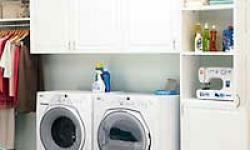 Laundry day isn?t a chore with an organization solution from Closet Laundry Rooms in Manhattan Beach, California in the United States. Consider shelves. Does the area where you keep your detergent, bleach, degreaser, spot removers look like the set of a mad scientist?s laboratory? 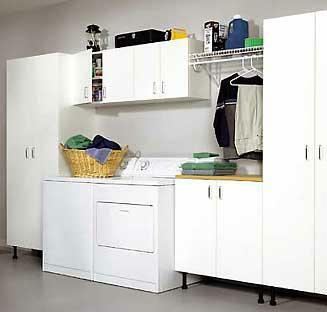 Closet Laundry Rooms in Manhattan Beach, California, can include a shelf in your space plan for all the things you use to make your clothes look their best. They can even add an area for pre-treating clothing, too. 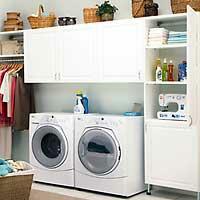 When your clothes come out of the washer, some need to be drip dried or dried flat. Having a special rack or bar for these items instead of searching for just the right spot will make your laundry day go by faster. Mom always admonished to hang and fold clothing straight out of the dryer to avoid wrinkles. Make her proud by having a space to not only fold your clothes but a hang bar to place your freshly laundered items so they stay fresh. Folding towels is a snap when you have a shelf fitted by Closet Laundry Rooms, to temporarily place them before putting them in the linen closet. The one task that strikes fear in the heart of the best homemaker is folding a fitted bed sheet. It?s even trickier if you?re trying to do it single-handedly. Add a worktop that makes folding these items easier. Even the most casual dressers need to occasionally touch up their items with an iron. Rather than let these items collect, address them on the spot in the Folding towels is a snap when you have a shelf to temporarily place them before putting them in the linen closet. The one task that strikes fear in the heart of the best homemaker is folding a fitted bed sheet. It?s even trickier if you?re trying to do it single-handedly. Add a worktop that makes folding these items easier. Even the most casual dressers need to occasionally touch up their items with an iron. Rather than let these items collect, address them on the spot in the lFolding towels is a snap when you have a shelf to temporarily place them before putting them in the linen closet. The one task that strikes fear in the heart of the best homemaker is folding a fitted bed sheet. It?s even trickier if you?re trying to do it single-handedly. Add a worktop that makes folding these items easier. Even the most casual dressers need to occasionally touch up their items with an iron. 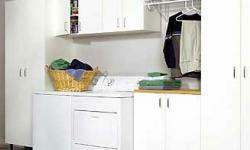 Rather than let these items collect, address them on the spot in the laundry organization area. Simply pull down your pull-out ironing board, touch up those items needing pressing then stow your ironing board and place your iron on a heat resistant shelf and call it a day! . Simply pull down your pull-out ironing board, touch up those items needing pressing then stow your ironing board and place your iron on a heat resistant shelf and call it a day. Simply pull down your pull-out ironing board, touch up those items needing pressing then stow your ironing board and place your iron on a heat resistant shelf and call it a day!